Citroen is to preview its latest concept model – the DS3 Cabrio Racing – at the 2013 Goodwood Festival of Speed. It features matt textured grey paint with red details and 19-inch alloy wheels. The cabin sports leather and alcantara trim along with further red details. It uses the same sliding roof as regular DS3 cabrios. Power comes from a 1.6-litre turbocharged petrol engine producing 204PS and thanks to the relatively small increase in weght over a hard-top DS3 performance should be similar, meaning 0-2mph in about 6.5 seconds. There is no word on whether the car will go into production but if it does you can expect it to cost around £24,000. 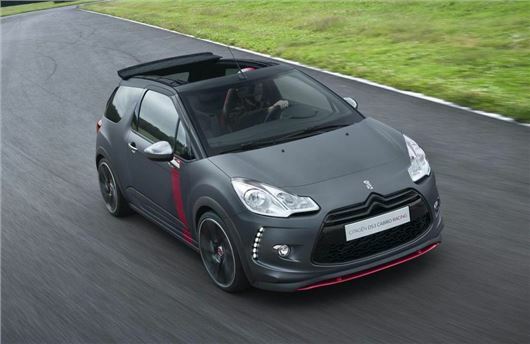 Given the popularity of the DS3 it wouldn't be a huge surprise if the DS3 Cabrio Racing did enter production. The concept version will also appear at the Frankfurt Motor Show in September 2013, when further details about potential plans for the model are likely to be announced.